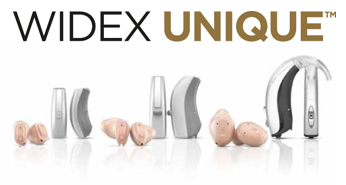 Interested in Latest Hearing Aids From Widex? We believe that we are the best option for you for hearing care in Scotland, but we know you shouldn't rely on what we say. So we asked one of our customers to tell you about us so you could make up your own mind. You can hear what they say on the video to the right. The full range of models is available in the Unique range from the smallest CIC to the larger power BTE's. Even the smaller aids are suitable for up to severe hearing losses. WIDEX UNIQUE 110 CIC-M : This is the smallest of the range, it is a non-wireless micro completely in canal device using a size 10 battery. 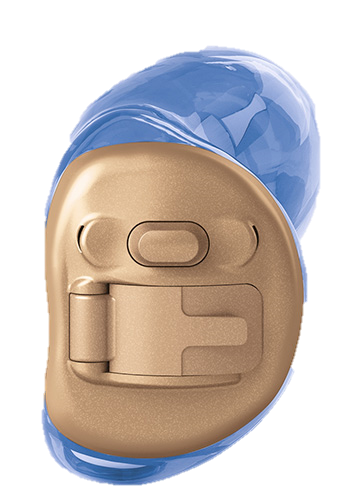 WIDEX UNIQUE 110 PASSION: The Passion has for many years been the smallest RIC hearing aid available. It is a wireless mini receiver-in-canal device which uses a Size 10 battery. The size does limit the device though, it has no telecoil or programme button. 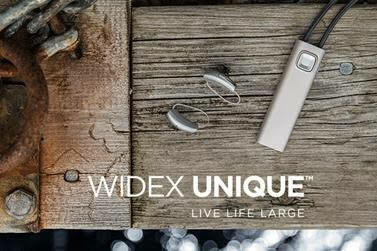 WIDEX UNIQUE 110 FUSION: The Fusion is a larger wireless receiver-in-canal device, it comes with a push button and telecoil and runs on a size 312 battery. The Unique 110 has four channels and doesn't have Sound Class Technology on board. While it is an automatic aid, It doesn't adjust itself as well as the higher technology models so if you go into a noisier environment you may want to consider programmes so you can adjust the aid to reduce the background noise. The 110 has three manual programs available. IE technology allows both hearing aids to act as one system through the instantaneous wireless exchange of information. Widex uses this technology in order that the hearing aids can act as a synchronised pair. The IE technology ensures the synchronization of volume adjustments and program changes between the two aids. This feature is actually only available on a stand alone phone program, the signal from the hearing aid you are using close to the phone is streamed to both hearing aids to help you hear better. Background noise reduction on the 110 is very basic, this is not really the hearing aid for you if you go into environments with a lot of background noise on a regular basis, it may be somewhat difficult to hear speech in these environments. The Unique 110 still benefits from the extended range of hearing that the more expensive models have and the soft sound noise reduction feature is also present. For communicating with other bluetooth enabled devices there is the new COM-DEX accessory, which is a bluetooth enabled pendant you hang around your neck. This will pair to your phone so that you can stream audio to your hearing aids from your phone, via the COM-DEX. You can also download an app for your smartphone (Apple or Android) which lets you use it to remotely control the hearing aids. 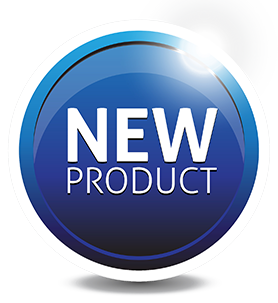 Also available are the usual range of extra accessories for TV or audio equipment streaming. The all new UNI-DEX is extremely easy to use. Simply plug the mini-jack cable into your mobile phone or audio device, hang the UNI-DEX around your neck, and you are ready to go. M-DEX offers wireless connectivity between hearing aids and a mobile phone, practically turning the hearing aids into wireless headsets. 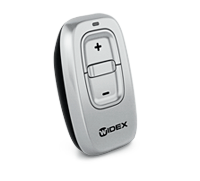 The RC-DEX is designed for basic wireless remote control of the hearing aids.